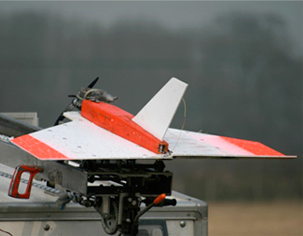 Retriever Sporting Clays, Inc. is the distributor for the Gnat System in the United Sates, a remote controlled target aircraft, including the ATS Gnat. Easy to fly, Highly visible, Wide speed range. any in the field component change possible within three minutes. Since its conception in 1990, over two thousand Gnats have been produced in the ATS UK based factory. The Gnat is constructed from impact resistant fluted polypropylene and glass reinforced plastic (GRP). All components are produced utilizing CNC machinery. 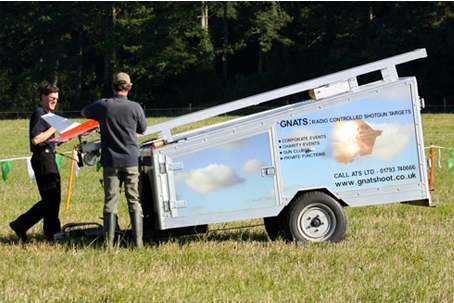 The Gnat target system is totally self contained in the ground support trailer. 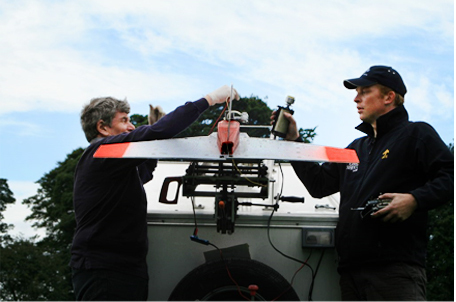 Up to 20 Gnat targets can be stored / transported in the trailer together with fuel, spares, control and starting equipment. The catapult launcher can be mounted to the top of the trailer or carried inside the trailer, thus making the entire system totally portable.